Laptop docking stations are extremely useful devices because they allow you to attach additional peripherals to your laptop. Docking stations are used if you want to transform your Windows 10 laptop into a standard desktop PC by attaching other peripherals, and today we’re going to show you the best laptop docking stations. What are the best docking stations for your laptop? Pluggable UD-3900 is 7.5 inches tall, and it comes with a solid design. This dock can’t be rotated, so you’ll have to keep it upright while using it, which can be a flaw to some users. This docking station allows you to connect two monitors thanks to one DVI and one HDMI port on the back. Additional backports include four USB 2.0 ports and one USB Type-B port that connects the device to your laptop. On the back, there’s an Ethernet port as well as a power port. The front side has two USB 3.0 ports as well as headphone and microphone jacks. We have to mention that this device also comes with a DVI-to-VGA adapter, so you can use this device even if you have an old VGA monitor. The dock supports 2560×1440 resolution while using HDMI. DVI supports 2048×1152 resolution, but if you decide to use a VGA adapter you’ll be limited to 1920×1200 resolution. Keep in mind that you’ll be limited to 1920×1200 resolution if you connect two monitors to this dock. 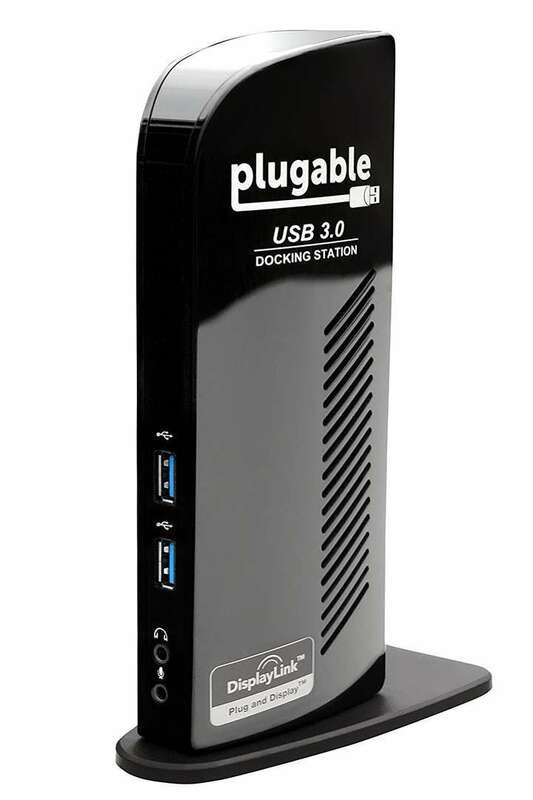 Pluggable UD-3900 is a great laptop docking station, but it doesn’t support 4K resolution. Dell WD15 comes with black rectangle design, so it looks rather elegant. The bottom of the docking station is made from non slip material that will prevent your docking station from moving. The dock also comes with 130W power brick that can be used to power your laptop. 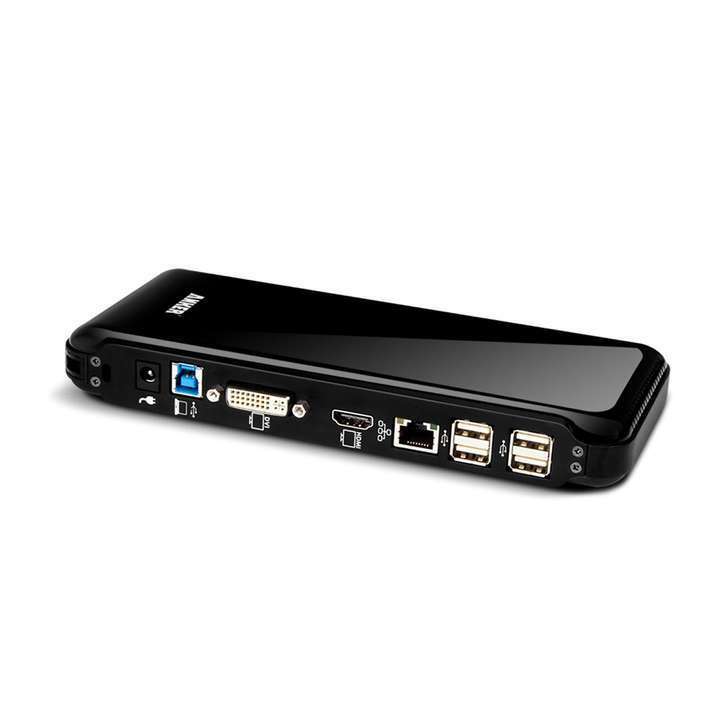 Regarding the available ports, this device has HDMI, mini DisplayPort and VGA port on the back. There’s also an Ethernet port, two USB 2.0 ports, and one USB 3.0 port. Of course, there’s a 3.5mm audio jack and power port as well. On the front there are two USB 3.0 ports as well as headphone and microphone combo jack. If you need to protect the device, there’s Kensington lock slot available. The device supports 4K monitors, but you can use only one 4K monitor at the time. If you decide to attach two monitors, you’ll be limited to 1080p resolution. Unlike other entries on our list, Plugable USB-C Triple Display Dock can work with up to three displays at the same time. The device is 6.9 inches tall and it comes with a built-in stand, so you can only use it in upright position. Regarding the ports, the dock has two HDMI ports, one for 4K video and one for 2K video. 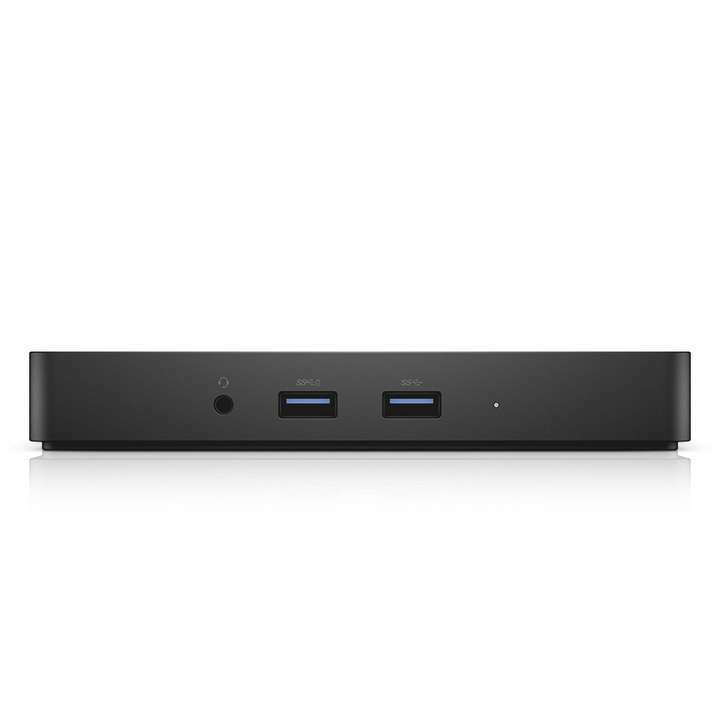 There’s also a DVI port, Ethernet jack, three USB 3.0 ports, and USB Type-C port to connect the docking station to your laptop. We have to mention that USB Type-C port is used for both charging and data transfer. The front side of the device has USB Type-C port, USB 3.0 port and headphone and microphone jacks. The docking station comes with USB Type-C cable, DVI-to-VGA adapter and power adapter. If you require 4K resolution and if you have a laptop with Type-C port, Plugable USB-C Triple Display Dock is the perfect device for you. If you don’t have a Type-C port, you can use the adapter, but you won’t be able to use 4K resolution. This docking station comes with a simple low profile design and non-slip feet so it won’t move on your desk. Since this docking station is shaped as a ramp, you can rest your laptop on it without any problems. Regarding the ports, the docking station comes with two DVI ports and a full-size DisplayPort. On the back, there are three USB 3.0 ports as well as an Ethernet port. There’s also a power adapter port, Kensington lock slot, and a micro-USB 3.0 port to connect your laptop. Of course, this device comes with a micro-USB 3.0 cable. We also have to mention that there’s one USB 3.0 port on each side of this docking station. Although this docking station supports 4K monitors, you are limited to only one monitor if you want to enjoy in 4K resolution. If you decide to use two monitors you’ll be limited to 2048 x 1152 resolution. The first thing that you’ll notice about this laptop dock is its beautiful sleek design. The bottom of the dock is made from textured rubber so the dock won’t move while you use it. 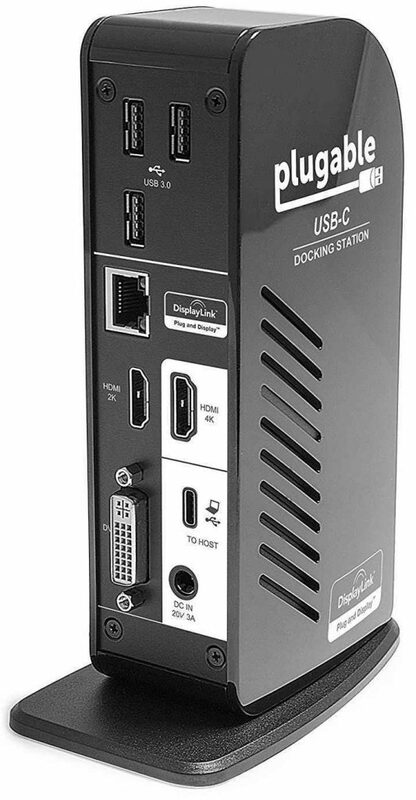 Regarding the ports, this dock uses USB Type-C Thunderbolt port for connecting. On the back, there are two USB 3.0 ports, USB Type-C port, Ethernet port, VGA port and combined Thunderbolt/AC power port. The dock also has a power jack and a lock slot available. As for the front side, there two USB 3.0 ports and a headphone/microphone combo jack. We have to mention that this device doesn’t have any HDMI or DVI ports, which is a major flaw in our opinion. This dock supports two 4K monitors over DisplayPort, but if you decide to use VGA port, you’ll be limited to 1080p resolution. This is a great device with a beautiful design, but unfortunately, this device is only compatible with certain HP laptops so it might not work with other brands. HP Elite Thunderbolt 3 Dock is a beautiful laptop dock, and if you have a compatible HP laptop you can get this dock for it. LB1 Universal Docking Station is another laptop docking station that supports up to two external displays. This device comes with two USB 3.0 ports and four USB 2.0 ports. We have to mention that one of these USB 3.0 ports provides fast charging, even in sleep mode. On the back there’s also a DVI port as well as an HDMI port. There’s also an AC power input and Ethernet port as well. On the side of the device there’s a headphone and microphone jack available. HDMI port supports 2560×1400 resolution and DVI port uses 2048×1152 resolution. Keep in mind that VGA port supports only 1920×1200 resolution. The device comes with a DVI to VGA adapter, so you can easily attach any old monitor. 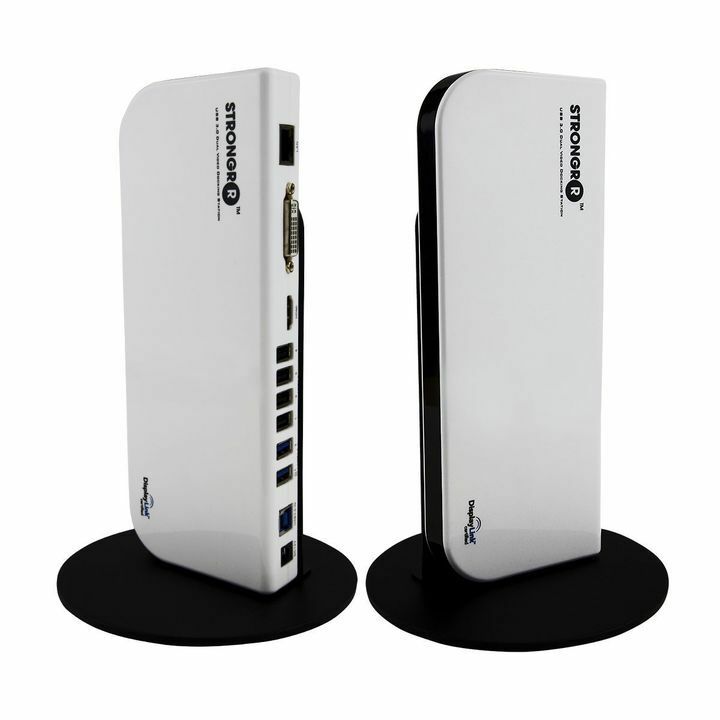 This is a simple device that comes with two front USB 3.0 ports that provide you with transfer speed up to 5Gbps. One of these USB ports also provides you with 5V and 1.5A current for charging. On the front side, there’s also an audio/microphone jack available. On the back, there are four USB 2.0 ports and one Ethernet port. There are a single HDMI and one DVI port available. Additional ports include USB 3.0 port for your laptop and a power input jack as well. The device comes with a USB 3.0 cable, 19V 2A AC power adapter and a detachable stand so you can position this dock anyway you like. Anker Dual Display Universal Docking Station is a simple device that allows you to use two monitors at the same time. Thunderbolt 3 Dual-4K is a powerful docking station, and it allows you to use two 4K monitors. The device supports 3840 x 2160 resolution and 60Hz frequency on each display. This dock also supports a single 5K monitor with 5120 x 2880 resolution. 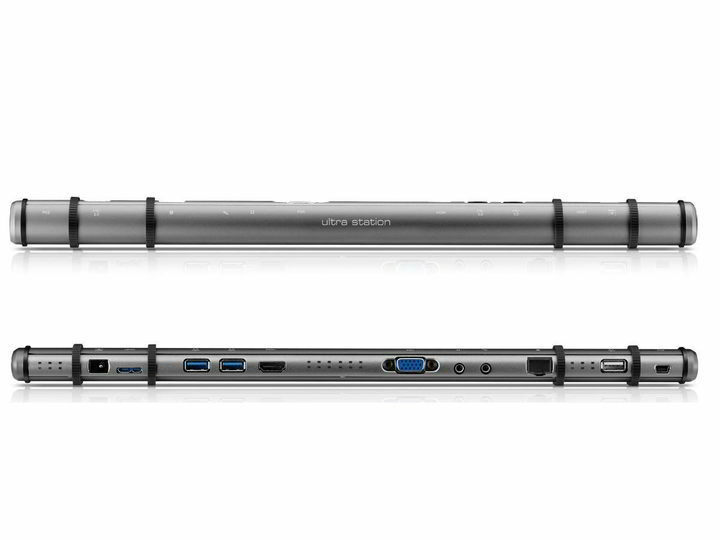 This device uses Thunderbolt 3 USB-C port to connect to your laptop, and it has two Thunderbolt 3 USB-C ports on the back. In addition, there’s a single DisplayPort and one USB 3.0 Type-C port available. There’s also a single USB 3.0 Type-A port, 3.5 mm mini-jack and Ethernet connector available. This device comes with a simple design and it provides 90W, so you can charge your laptop while using it. The device comes with two USB 3.0 ports, two powered USB 2.0 ports, and two regular USB 2.0 ports. This dock also has a DVI and HDMI port, so you can connect two displays to it. Of course, there’s an Ethernet port as well as microphone and audio jack available. The device also comes with universal laptop tips that are stored in the special compartment. Targus USB 3.0 Dual Video supports up to 2048×1152 resolution and it comes with DVI to VGA and HDMI to DVI adapters so you can easily connect any type of monitor to it. 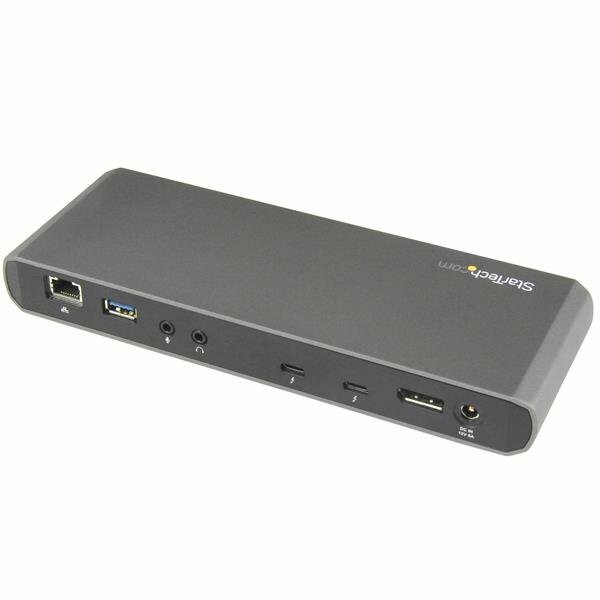 According to its manufacturer, Kensington USB 3.0 Docking Station works with both Windows and Mac laptops. The device has four USB 2.0 ports on the back along with DVI and Ethernet connectors. On the front, there are two USB 3.0 ports available as well as microphone and headphone jacks. We have to mention that there’s no HDMI port available, which can be a problem for some users. Fortunately, DVI to HDMI and DVI to VGA adapters are included so you can connect almost any monitor. This device supports multiple displays, but if you want to use that feature, you’ll need to purchase a special adapter separately. Regarding the resolution, this device supports 2048×1152 resolution. This is a decent laptop docking station, but the lack of native support for two displays can turn away some users. 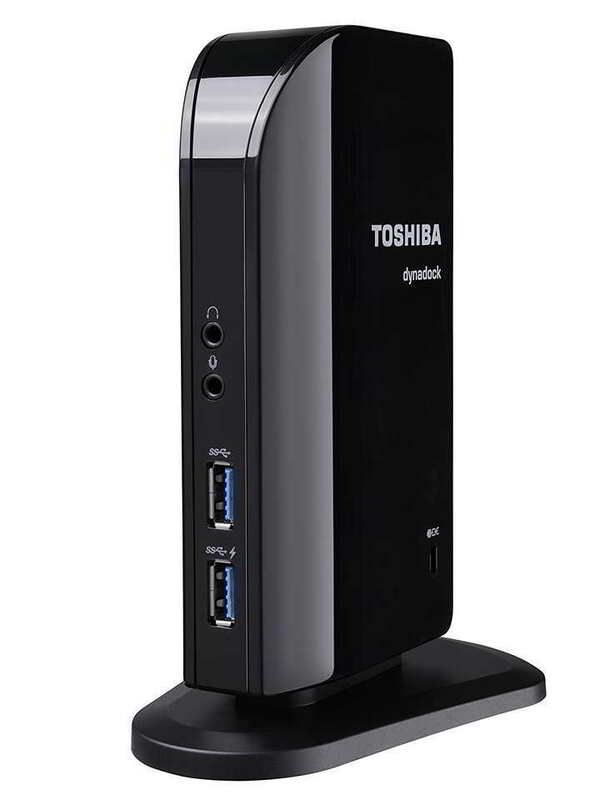 Toshiba Dynadock V3.0+ comes with four USB 3.0 ports and a DVI connector. Although there’s no VGA or HDMI connector, the device comes with DVI to VGA and DVI to HDMI adapters, which means that you can easily connect almost any type of monitor. The device also has a Gigabit Ethernet port and a security lock slot. The device supports 2048 x 1152 resolution, but unfortunately, you can’t connect two monitors at the same time, which can be a flaw for some users. Toshiba Dynadock V3.0+ is an elegant device, and it is available to buy on Amazon. 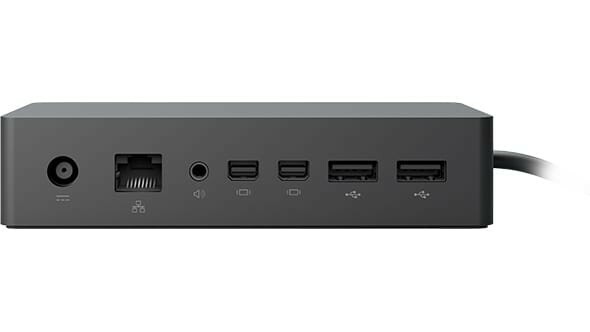 If you own Surface Pro 3, Surface Pro 4 or Surface Book, you should consider Microsoft Surface Dock. The device comes with a minimalistic, low-profile design so it won’t take too much space on your desk. Regarding connectivity, there are two mini DisplayPorts and one Gigabit Ethernet port. The device comes with four USB 3.0 ports, one audio out port and a Surface Connect cable. The device is simple to use, and you just need to connect your peripherals to Surface Dock and attach the magnetic Surface Connect cable to your laptop and you’re good to go. If you own one of the compatible Surface devices, we strongly recommend Microsoft Surface Dock. 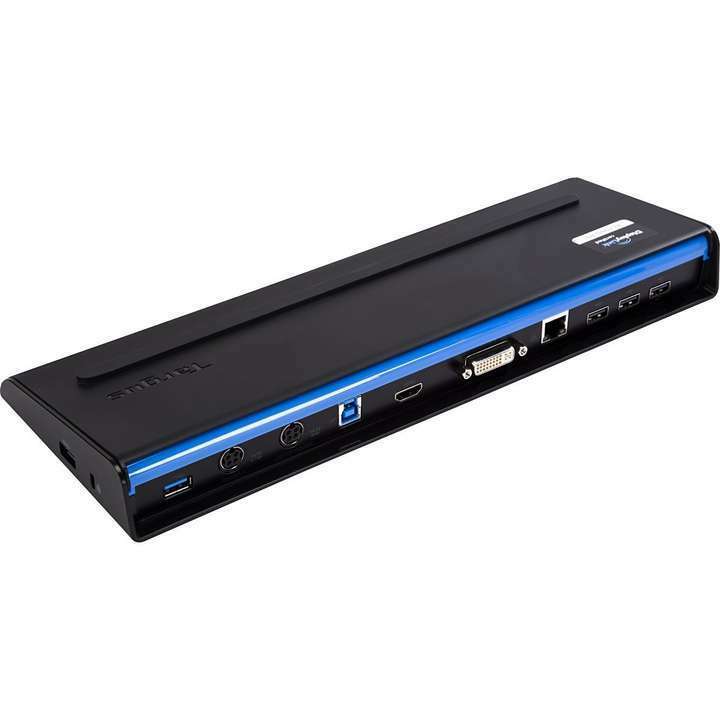 J5Create JUD500 USB 3.0 Ultra Station is a slick laptop docking station that comes with one VGA and one HDMI port. 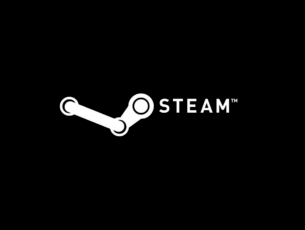 Regarding the supported resolution, this device supports 2048×1152 resolution. The device has two USB 3.0 ports, and one of these ports provides power for charging. In addition to USB 3.0, there’s a single USB 2.0 port available as well. Additional ports include Ethernet port and microphone and speaker jack. This device also supports a Wormhole feature that lets you connect a PC to it and transfer files easily between your laptop and your desktop PC. This feature works with Windows and Mac platform, and you can easily transfer files from your Mac computer to Windows laptop and vice versa. J5Create JUD500 USB 3.0 Ultra Station offers slim design and some advanced features. If you need to connect up to three displays, Dell D3100 is the perfect docking station for you. The device has two USB 2.0 ports on the back along with a headphone input. On the back, there’s also one DisplayPort and two HDMI ports. If you use a DVI monitor there’s HDMI to DVI adapter included. Of course, Ethernet port is also available along with three USB 3.0 ports. 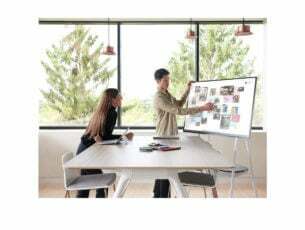 The device supports up to three external monitors, and you can have 4K resolution on one monitor and HD resolution on the two remaining displays. 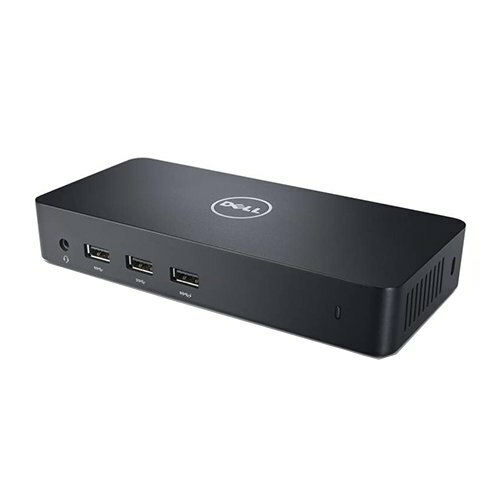 The device is compatible with most Dell laptops, so if you have a Dell device you might want to consider this docking station. 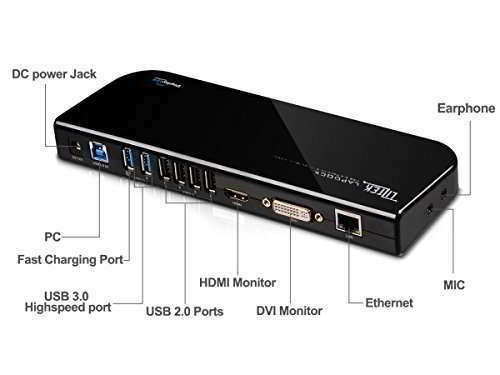 Liztek USB 3.0 Universal Docking Station is a simple device that comes with HDMI and DVI ports. 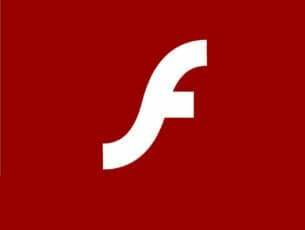 Supported resolution is 2048×1152 / 1920×1200. The device comes with two USB 3.0 ports, and one of these USB ports offers fast charging with 1.5A current. Of course, there are four USB 2.0 ports available. Additional ports include Ethernet port, microphone and earphone port. Liztek USB 3.0 Universal Docking Station is a small and useful docking station for your laptop, and you can purchase this device on Amazon. This device comes with a simple and compact design, so it won’t take too much space on your desk. Unlike other laptop docking stations on our list, this one has HDMI, DVI, and VGA ports, so you won’t need any additional adapters. Thanks to the three display connectors you can easily connect two monitors to this docking station. Regarding the resolution, each video output supports up to 2048×1152 resolution. The device offers three USB 3.0 connectors, Ethernet port and microphone, and headphone jacks. Of course, there’s a lock slot available if you need to protect your docking station. 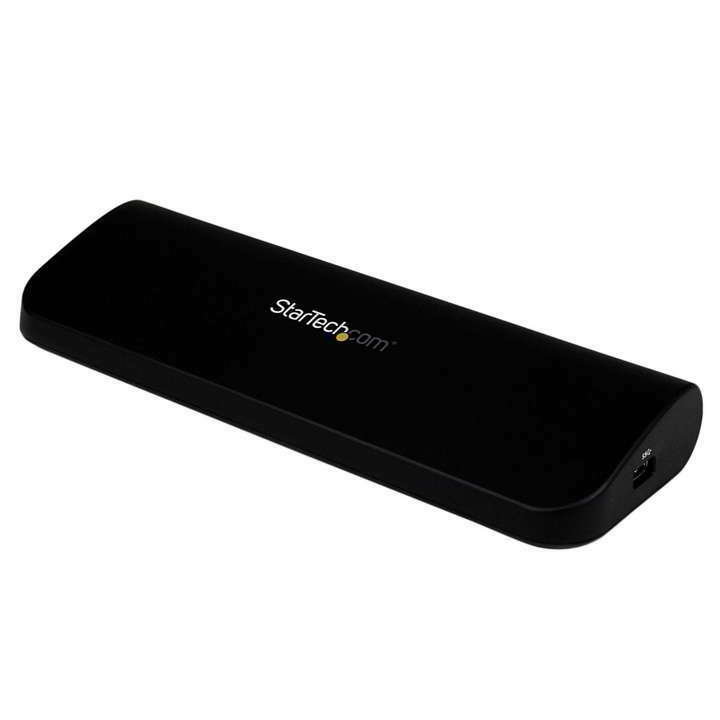 Startech Universal USB 3.0 Laptop Docking Station is a great docking station because it works with most displays without any additional adapters. 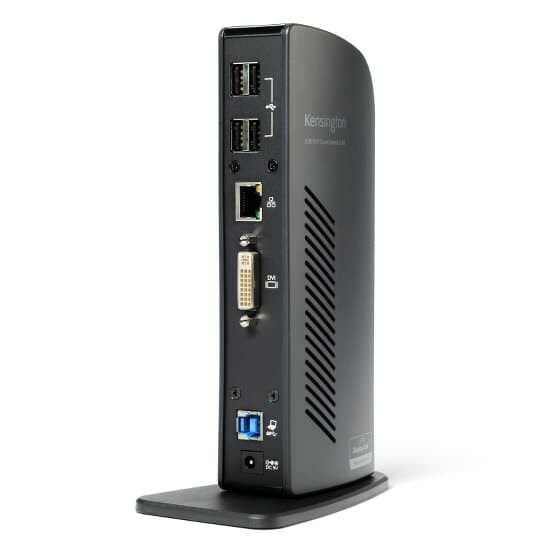 Kensington SD4600P comes with a beautiful and sleek design, so it will look perfect on your desk. The device has two USB-C ports on the back and one of these ports is designated for your laptop and you can use the second one to attach any USB-C device. As for connectivity, there as an HDMI port and DisplayPort available along with three USB 3.0 ports. Additional ports include Ethernet port, microphone, and headphone jacks and a Kensington security slot. Regarding supported resolutions, in a single monitor setup, you’ll get 4K resolution using either HDMI or DisplayPort. If you decide to use dual monitor setup you’ll get 4K resolution with DisplayPort while the HDMI port will be restricted to 1080p resolution. Laptop docking stations are extremely useful devices, especially if you want to connect additional peripherals or external monitors with your laptop. Choosing the best docking station isn’t a simple task, but we hope that you’ll find a suitable docking station on our list.